For the first time in the club’s history, Pitt’s Club Tennis team qualified for the National Championship in Cary, N.C., this upcoming April. In the USTA Tennis on Campus Middle States Sectional Championships, Pitt was able to defeat the University of Pennsylvania in the quarterfinals, Penn State’s second team in the semifinals and Penn State’s first team in the finals, earning a spot at nationals. Last year, they played well in sectionals, but only made it to the quarterfinals. They succumbed to Villanova, who went on to win the tournament. But the team had extra help this year with the addition of coach Craig Perry. Perry began playing tennis when he was 13 and has been coaching for 30 years. When he offered his assistance to the team, they welcomed him. Both Rubin and Jim Donovan, the president of Pitt Club Tennis, believed that his presence was a key factor in their success. Perry was quick to dispel such notions. “Coaching is overrated,” he said. 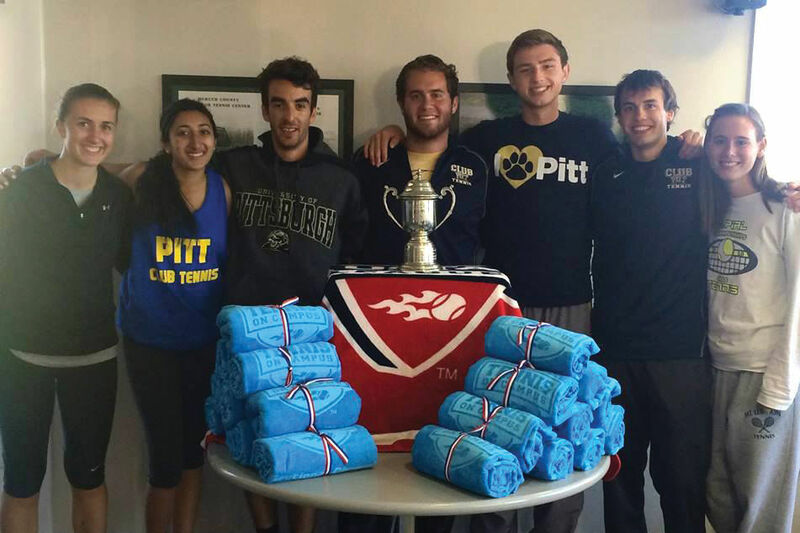 In addition to the coaching, Pitt Club Tennis increased its efforts. The team has been practicing for two hours, three nights a week, going through drills and implementing different strategies. Perry shows up for two of the three practices per week to give his input on the team’s progress and offer organization. Most of the team contributed to their victory this year, as the combined effort of the veterans and new talent meshed well. Now, Pitt Club Tennis is preparing for its long-awaited chance at nationals. The team plans to maintain the routine that’s worked so far, but it does want to improve on doubles performance. “Doubles is extremely important in our league, and with the necessary training and practicing, I believe they will be an important factor when we go to nationals in the spring,” Rubin said. Perry agrees that the routines should stay the same until a few weeks before nationals. But practice and good technique are not the only factors Pitt Club Tennis believe will help win nationals.